Looking for that perfect venue for your wedding with a great setting for photographs? We have featured Oxfordshire’s most photogenic wedding venues – all perfect for Instagram! Oxford Town Hall’s gorgeous venue needs #nofilter when it comes to Instagram. For a wedding ceremony, couples can choose from the grandeur of our pastel-coloured Main Hall, wood-panelled Assembly or St Aldate’s Room, peach-coloured Old Library or the quirky Court Room – capacities ranging 10 to 650. Check some of their past weddings on their Instagram channel @oxfordtownhall. Eynsham Hall is a magnificent Grade II listed mansion nestled in the heart of a 3000-acre estate. Located just 12 miles from Oxford, this stunning Jacobean-style house set within beautifully landscaped gardens with fountains and terraces will present an idyllic backdrop for your big day. Heythrop Park Resort is nestled within 440 acres of glorious Oxfordshire countryside and provides a picturesque backdrop for your wedding photographs. Every space is as beautiful as the next, from stylish and modern in the Crowne Plaza to stunning and traditional in the Manor House – the possibilities are truly endless! A masterpiece of 18th Century Baroque architecture set in more than 2000 acres of ‘Capability’ Brown landscaped Parkland and award-winning Formal Gardens, Blenheim Palace provides a magnificent setting for weddings, whatever the size and style. What could be more romantic than a wedding at the University of Oxford? Conference Oxford represents a stunning array of colleges, museums, historical libraries and ceremonial halls to suit all tastes and budgets. Whether you want an intimate ceremony or a large gathering of all your friends and family, their unique venues will guarantee that your special day is unforgettable. Home to the Stonor family for over 850 years, Stonor Park is considered one of the prettiest deer parks within the Chilterns. From the hilltop with uninterrupted views of the magnificent Chiltern countryside to the lawns at the front of the house, you will never be short of finding the perfect and romantic backdrop for your pictures. 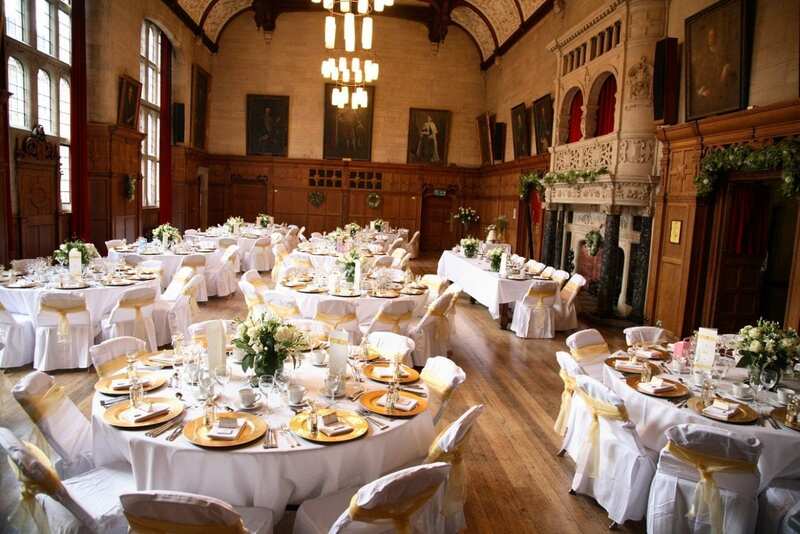 The King’s Centre, Oxford is a perfect venue for large weddings, with space for up to 500 guests. The Atrium is an industrial and modern venue with exposed ceilings, a blank canvass for you to create your perfect wedding. Their in-house caterers are experts in creating bespoke wedding menus. At the Oxford Belfry, their experienced wedding coordinators are dedicated to helping you achieve the wedding day you’ve always imagined. Set within the glorious Oxfordshire countryside, the 17 acres that surround the hotel make for a breathtaking backdrop for wedding photographs.